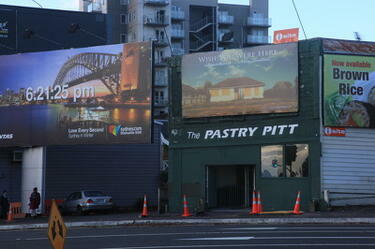 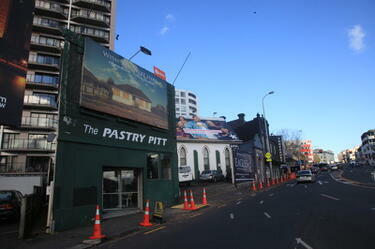 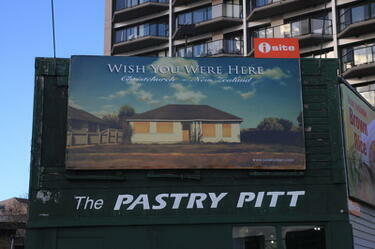 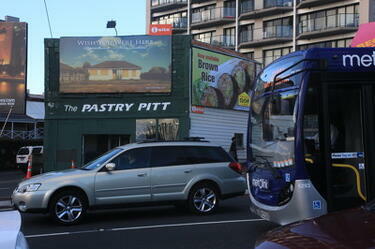 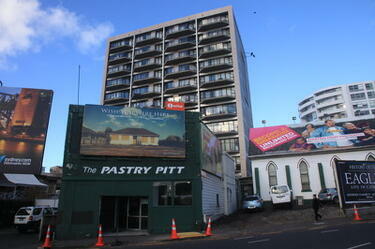 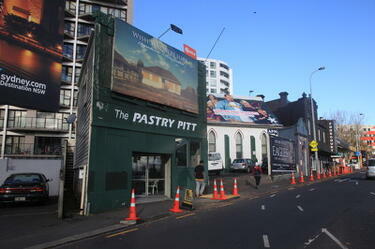 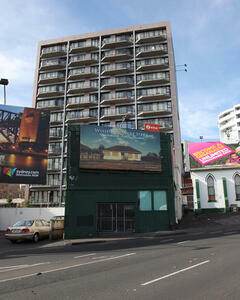 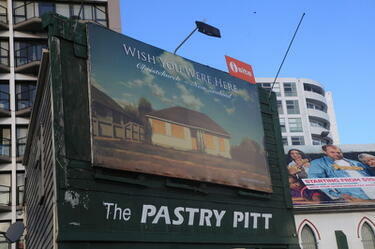 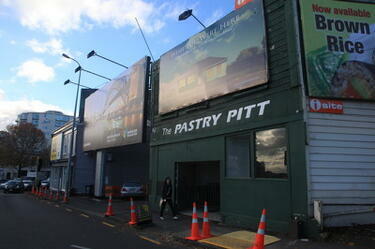 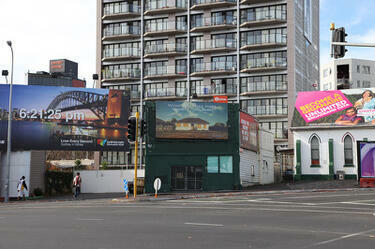 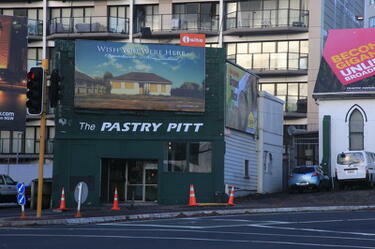 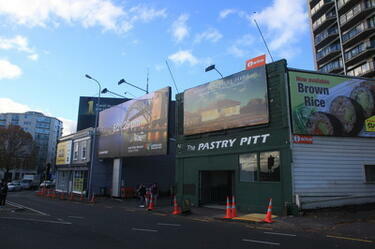 A photograph of Julia Holden's painting 'Red Zone Home 1' displayed on a billboard in Mount Eden, Auckland. 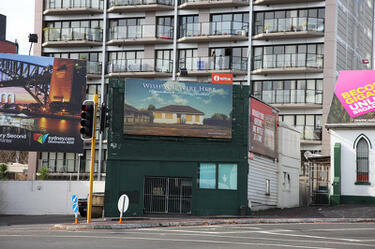 A close-up photograph of Julia Holden's painting 'Red Zone Home 1' displayed on a billboard in Mount Eden, Auckland. 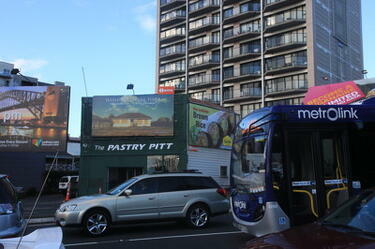 A photograph of Julia Holden's painting 'Red Zone Home 1' displayed on a billboard in Mount Eden, Auckland. 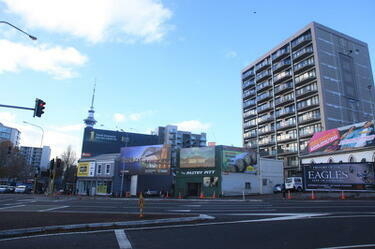 The Sky Tower can be seen in the background.